Waiting for the balloons to fill. As the sun rises in the East, so too do hot air balloons around the Phoenix valley. The season is ripe for it too, not just because the winters in the Southwest are so sunny and mild, but because it is February, the month of Valentine’s Day and a celebration of romantic things. 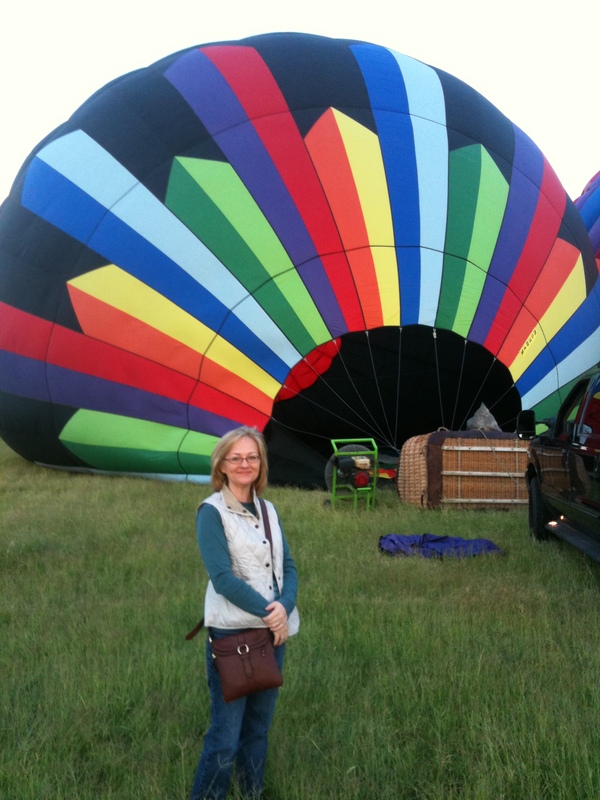 Whether it is to celebrate an anniversary, to pop the question, or simply something to do on your bucket list, riding in a hot air balloon is a dream for a lot of people. Phoenix has a quite a few companies vying to make those dreams come true. This time of year is the busiest time, so most offer daily rides at sunup or sundown as time for lift-off. Apparently, that’s when the winds are least restless and perfect for sailing peacefully across the sky at 3000 to 5000 feet above the earth. The company I flew with was Aerogelic Ballooning and, although I always felt safe and thoroughly enjoyed being up in the sky, watching the world below pass beneath, the owner/manager of the company swore at his crew on several occasions and made snide remarks throughout the flight when someone asked a question. Amazingly, it did not seem to ruin the day for the six guests he had in his basket. It is hard to stay upset when you feel like a rockstar, waving to people below you. If I were to do it again, though, I would go with a different company. Happily, there are many companies to choose from and this experience is one that is not to be missed. I went with my mother-in-law because it was on both of our bucket lists. She is known for having severe motion sickness, so she was a little uncertain about how she might do. She brought along Dramamine in case she felt any pangs of wooziness, but she never needed it. The ride itself was smooth and easy; landing was the bumpiest part, but it didn’t hurt or jar. It just took a few gentle bounces to find that right balance between lift and grounding. Up in the air, floating felt like the most natural thing in the world. Cares that weighed so heavy on the ground disappeared. Nervous chit chat peetered out as breathtaking views took over. I could have stayed there all day. Prices with Aerogelic for approximately 60 minutes of air time start at $165 per person. The total time involved, however, is about four hours. It took about an hour to set up and get flying, another hour to fly, and another hour to land and get the balloon deflated and loaded up on a trailer that followed the balloon’s progress to its landing. The additional hour was how long it took to drive to the take-off location and the drive back to where we were parked. The price included our passage on board a colorful hot air balloon and a glass of champagne and some nibbles at the end of the ride. Other companies in the area show similar prices for similar “public” flights, meaning that, unless you book the entire basket with six of your closest friends, you will be making new friends on your flight. To charter a private basket for just you, your honey, and the pilot, the price goes up to $700. Check out these other companies in the area for other hot air balloon options. Please note that I cannot speak from experience about the quality of these companies. 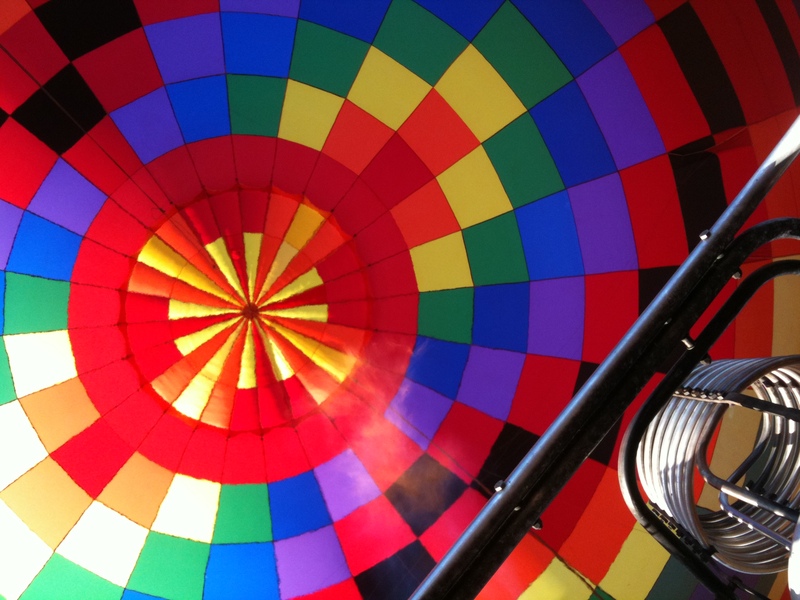 Rainbow Riders: They have great reviews on Tripadviser.com and would likely be who I will go with the next time I ride in a hot air balloon in Phoenix.